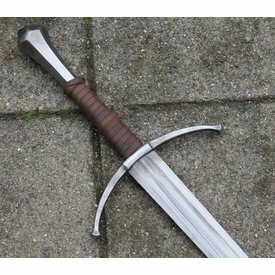 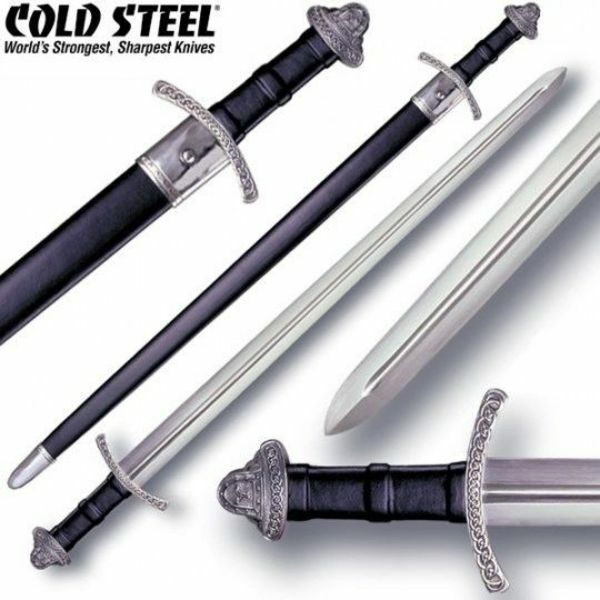 This Viking sword is made by Cold Steel. 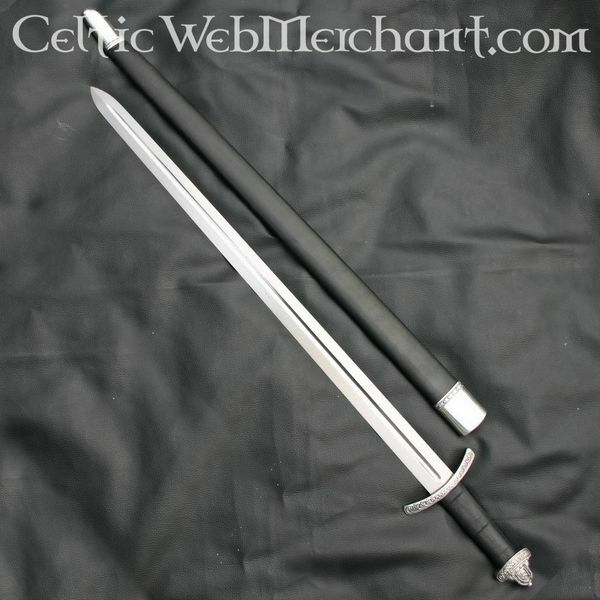 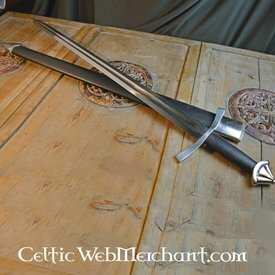 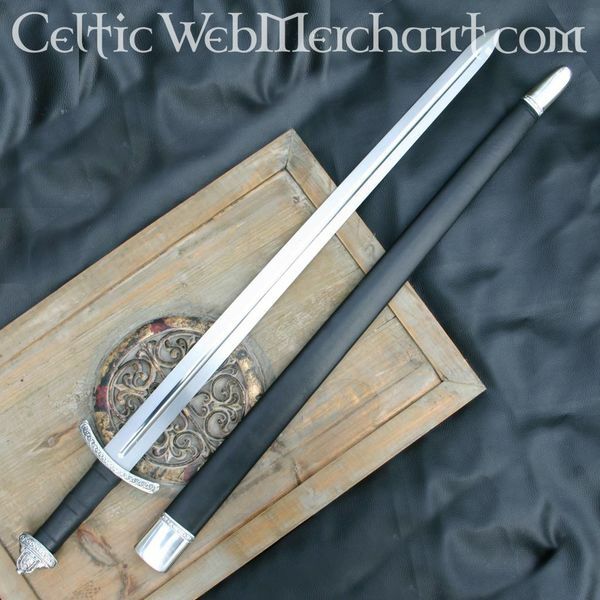 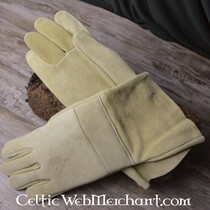 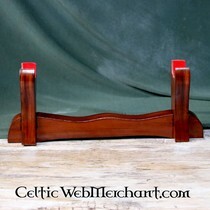 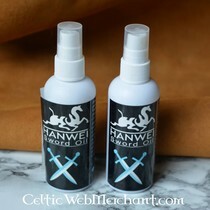 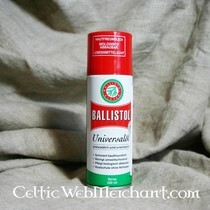 It is richly decorated with Celtic motives and has a 14th century cross-guard. 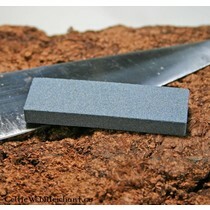 The blade has a long fuller and is made of 1055 carbon steel. 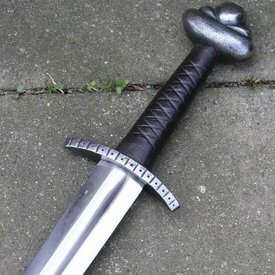 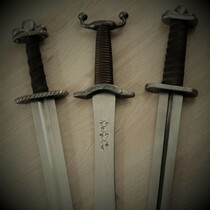 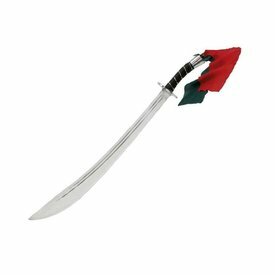 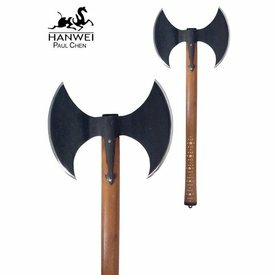 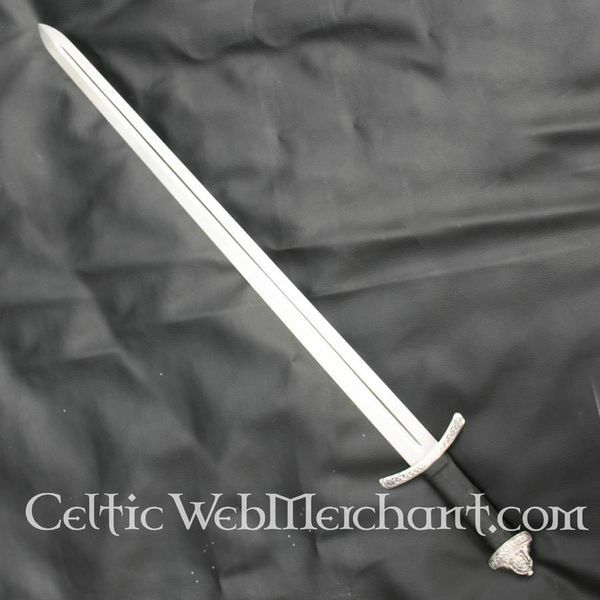 The sword weighs 1039 g and has a length of 94 cm. 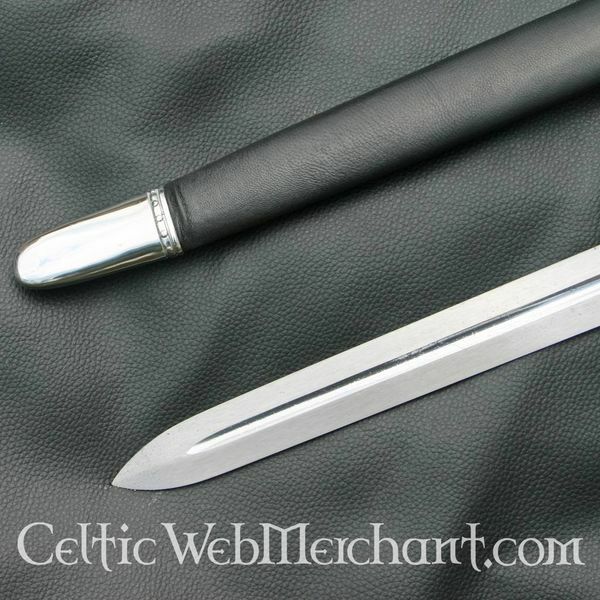 The blade has a length of 77 cm and is razor sharp.